With the start of another summer season, it’s important to be even more protective when it comes to your skin. Below I have a list of some of my favorite summertime skincare tips to keep you glowing all season long! As much as we love to take hot showers, they’re very drying to the skin. Opt for a cold shower instead. It will most likely feel great after a day in the hot sun! At this point you know the importance of drinking water to stay hydrated, but did you know you can eat your hydration too? I’m talking about melon! Melons (watermelon, honeydew, cantaloupe) have a high water content making this fruit the perfect snack for your next beach trip. Exfoliate and hydrate your body too! Body scrubs are a great way to keep your skin looking and feeling smooth, especially if you’re a beach lover like myself. It’s easy to make your own body scrub, or you can purchase, like this one, from Etre Bien. Afterwards, slather yourself in moisture. I’m really into body oil in the summer, and though it is also easy to make your own, I really love the way this one smells. There is no better way to refresh your skin throughout the day than with a face mist. Store a travel sized bottle such as our In Bloom Hydrating Mist in your bag to keep your skin hydrated throughout the day. Skin damaging free radicals run rampant in the summer, the sun being a major source. Use products that are rich in Antioxidants, such as our Pumpkin + Carrot Antioxidant Oil, to help protect your skin from damage. This is always a tricky one for I myself have been searching for the right sunscreen for years. Find one that is a mineral based broad spectrum sunscreen (Zinc Oxide/ Titanium Dioxide) but also safe for the environment. I like Alba Organics because it’s all of the above, including no animal testing! Sometimes it’s hard to keep up with reapplying that sunscreen during a long day at the beach. Also, from what I learned on my trip to Tulum this year, baseball caps just aren’t enough to protect your face from damage. 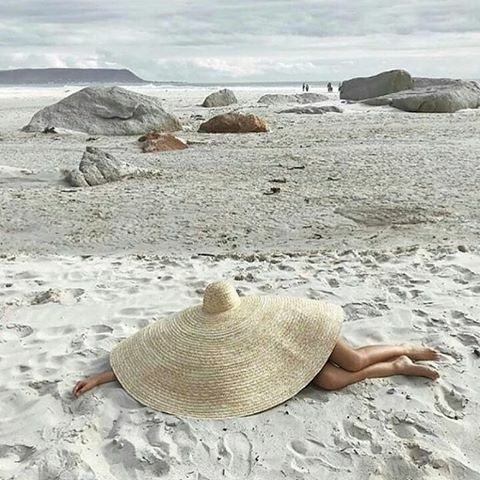 Go for a wide brimmed hat, preferably breathable like a straw hat, that you can cover your face with at the beach. Personally, I haven’t found one I’ve fell in love with yet (just isn’t my style) but if you catch me at the beach this summer, you best believe I’ll have one this year! Stay glowing and happy summer!